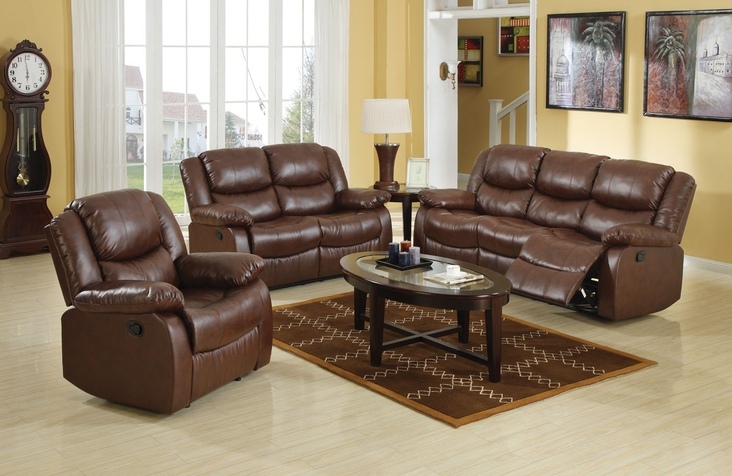 The Fullerton Collection by Acme Furniture is designed with your comfort in mind. 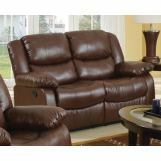 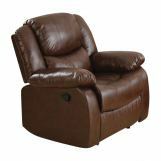 The Fullerton Recliner Collection reflects sleek styling, oversized cozy seating and full reclined seated positions along with the easy care of durable and beautiful brown bonded leather. 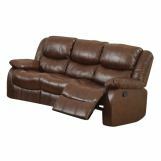 It offers the look you will love and is composed of overstuffed pillow style seats and generously padded arm rests for ultra comfort. 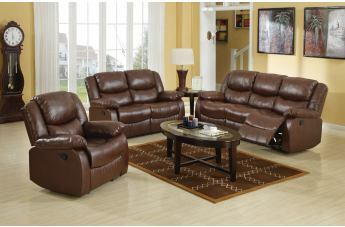 And the recliner just continues the overstuffed appearance of the sofa and loveseat for additional comfort.